Have you ever bought a wine guide? Which are the best guides? 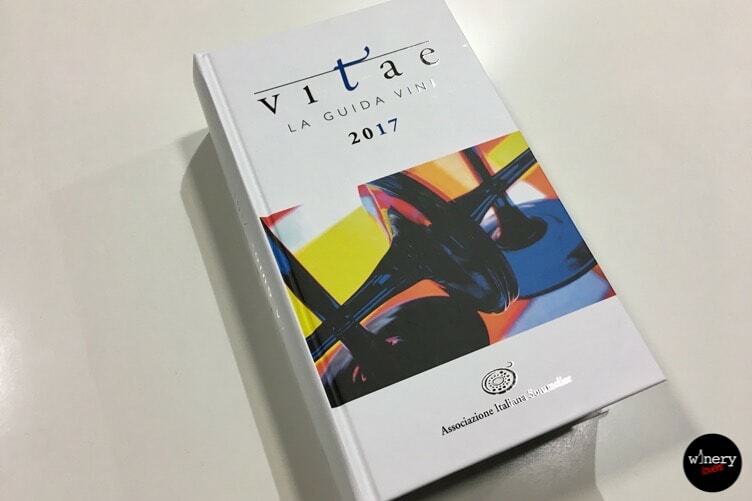 The 29th October 2016 it has been presented the new wine guide of AIS: Vitae 2017. AIS (Associazione Italiana Sommelier) is a sommelier association founded by Jean Valenti in Milan, 7th July 1965. I took part in the official launch of the wine guide, as you saw on my Snapchat, and now I want to show you this new edition. Vitae 2017 is the 3rd edition and it’s dedicated to Jean Valenti who died recently. For this wine guide 35.000 wines of 4.000 wineries have been tasted by 1.000 AIS sommeliers. The topic of Vitae 2017 is wine tasting, so pictures in the guide are wine glasses. The shots have high contrasts and suggestive transparencies. The aim of these effects is to put in relation the senses of sight and smell. Looking at those pictures, your pay immediately attention on the contrasts and then on the transparencies. When you taste a wine, you taste before the main smells and after the different shades. There are 40.000 copies printed with 15.000 wines reviewed. The guide is also available on smartphone. In the digital version you can find more wines, this is due to the limit of the pages number (2040). The quality of Italian wine is higher. For this reason, only the wines with at least 91 points have the 4 vines symbol. There are also two new symbols: Cupid’s arrow and piggy bank. The first is used for wines that give back an instant emotional effect. The second symbol is for those wines with particular values that represent price and type, and not QPR (quality price ratio, you can discover this and many other terms in my wine dictionary). Vitae 2017 considers also the environmental impact for the wines production. 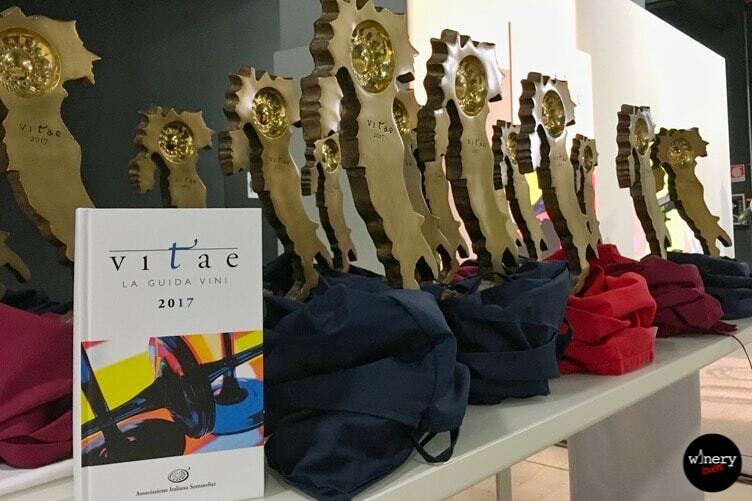 22 wineries, one for each Italian region (Trentino Alto Adige and Emilia Romagna have been splitted respectively in two subregion), have received the coveted prize Tastevin 2017. They were chosen for their best wines among all wines with 4 vines symbol. You can discover the winners of Tastevin 2017 clicking the link below! Where can you buy the guide? For an easy consultation, you can download Vitae 2017 on your smartphone. The app will receive continuos updates in the following 12 months. Otherwise, if you want to buy the printed copy, please contact me! 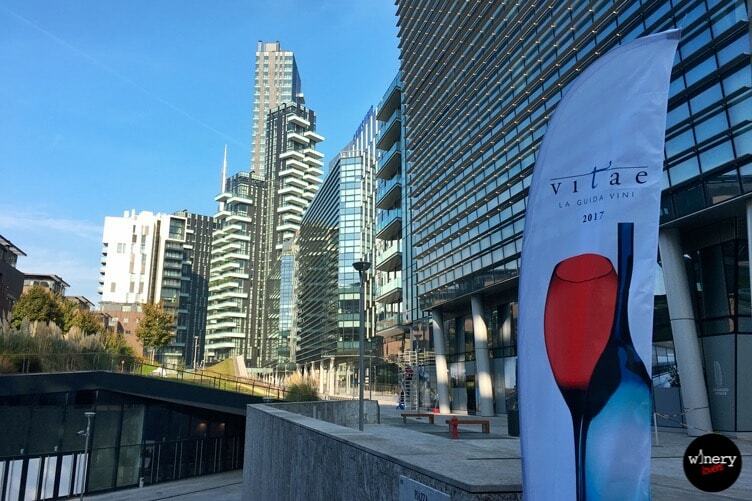 The 29th of October in The Mall of Milan there was the official launch of Vitae 2017. The event began with a press conference in the morning to introduce the new wine guide, then there was the awards ceremony for the winners of Tastevin 2017. Antonello Marietta, president of AIS, has conferred the coveted prizes to 22 winemakers. As I already said, the main topic for the 3rd edition is wine tasting. 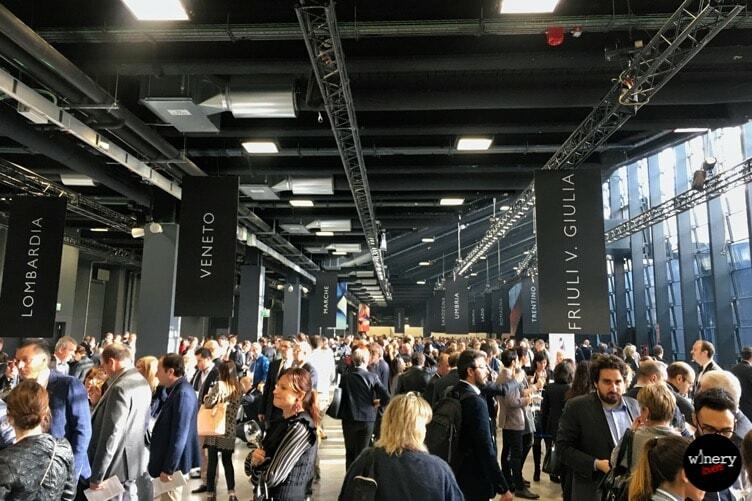 In the afternoon you had the possibility to taste more than 500 Italian wines served from 150 AIS sommeliers. There was something to everyone’s liking! At the event came a lot of people. I sincerely suggest you to take part in this kind of wine event. You can taste all the best wines and if you have any curiosity about those wines, you can ask suggestion to sommeliers! If you liked this article, I invite you to share it on Twitter! ps: I’m working on a new tutorial, so stay tuned!